I started reading this book in 2013. At that point, I’d read a number of books about suffering. Many of them gave great suggestions for how, as a Christian, I should respond to suffering, but none of them really helped me understand my anger toward God. This book did. It was so comprehensive! I appreciate that Keller, in most of his books, starts by breaking down worldviews – the lens through which we interpret the world. It helped me to understand WHY I was so angry, because the modern American stance toward suffering is one of avoiding it at all costs. Our only response to suffering is one of shock and anger. I’m probably not paraphrasing this well – I read the first section 18 months ago – but this helped SO MUCH. I was finally able to understand, and accept, and eventually get over, my anger. So is this a book for sufferers? Yes, but we must make some distinctions. We are all sufferers, or we will be. But not all of us are currently in an experience of deep pain and grief. Those who are not feeling it, but are seeing it in others, will have a host of philosophical, social, phychological, and moral questions about it. On the other hand, those who are in the grip of pain and difficulty now cannot treat it as a philosophical issue. 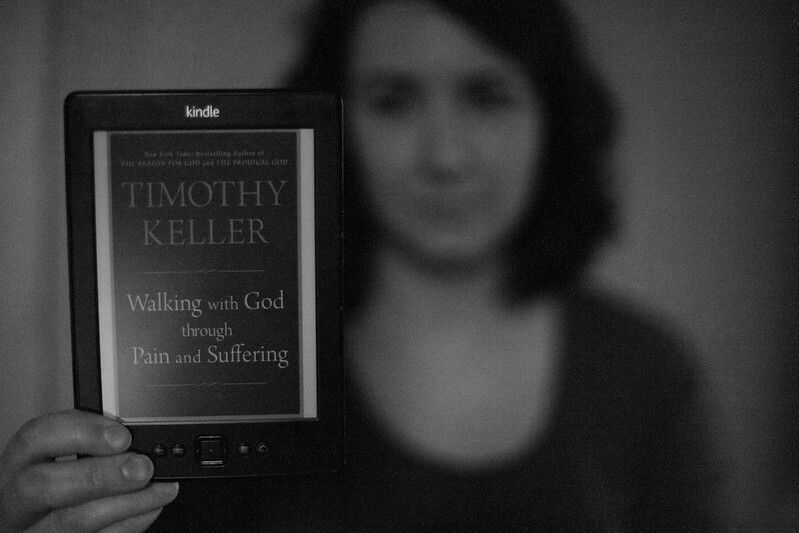 I think every Christian should read this book, and any non-Christian who wonders what the Bible says about suffering. Also adding this to my to read! Your comment about how in modern America the goal is to avoid suffering at all costs is salient, and worth exploring. Sounds like a good read, what you say is so true. Suffering plays a huge part in a Christian’s walk with God, churches need to get real! Thanks for sharing this!